Join us at the Wildcat Base on April 6th, for Alta in April’s Free Demo Day! Leave your old skis at home and get an early look at what some of the biggest ski companies are going to offer next season! Last year 33 companies brought skis to test and we are hoping for even more options this year! 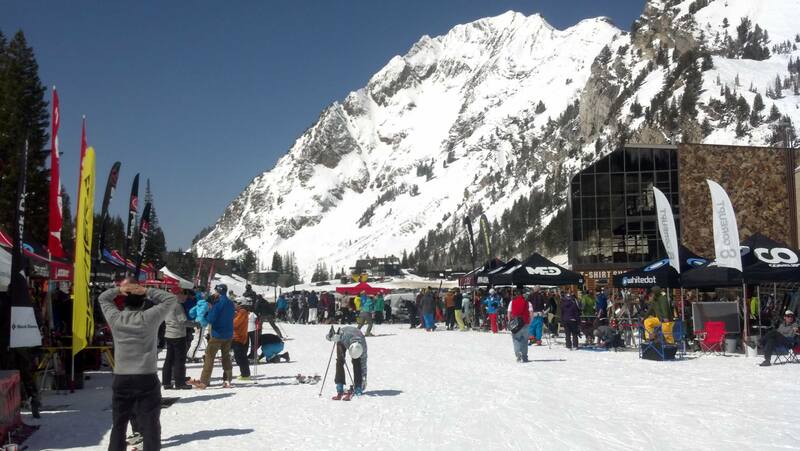 In association with the Alta Ski Shop and the Powder House Ski Shops and as a part of the 2 weeklong “Alta in April” celebration of the end of another great winter at Alta Ski Area, we invite you to enjoy sales on apparel, as well as live music at the Goldminer’s Daughter Lodge. Some of the ski companies attending include: Rossignol, Salomon, VÖLKL, Armada Skis, Tecnica, Blizzard, Dynastar, 7Mile, Fischer, Faction, Meier, Head, Big Wood, Atomic, Line, K2, Deviation, ON3P, DPS, H2O Outdoor, Gear, Moment, Soul Poles, 4Frnt, and Ramp. Don’t miss your chance to try out those skis you’ve been dreaming about! See you tomorrow!